One woman comedian later anonymously told The Revelist that Glaser sexually assaulted her after they’d had a drink at a bar, implying that she had been drugged (Glaser’s then-lawyer denied this incident to The Revelist, and Glaser has repeatedly denied allegations against him). The allegations gained notoriety when Inside Amy Schumer writer Kurt Metzger weighed in with a now-infamous series of rants, compelling Amy Schumer to publicly disavow him. Glaser eventually dropped the defamation suit, telling Jezebel that he ran out of money; he said that he’d sued Pierce to clear his reputation but also to “get information,” i.e. in the hopes that she would subpoena UCB for the details he sought from their investigation. “I was simply trying to clear my name, the numbers of it don’t matter to me,” he told Jezebel, when asked why he sued Pierce for a staggering $38 million. Glaser’s lawyer Mark Shirian declined a comment request from Jezebel seeking to clarify where the money for this second lawsuit comes from, or whether Glaser is being financially assisted by any outside groups. 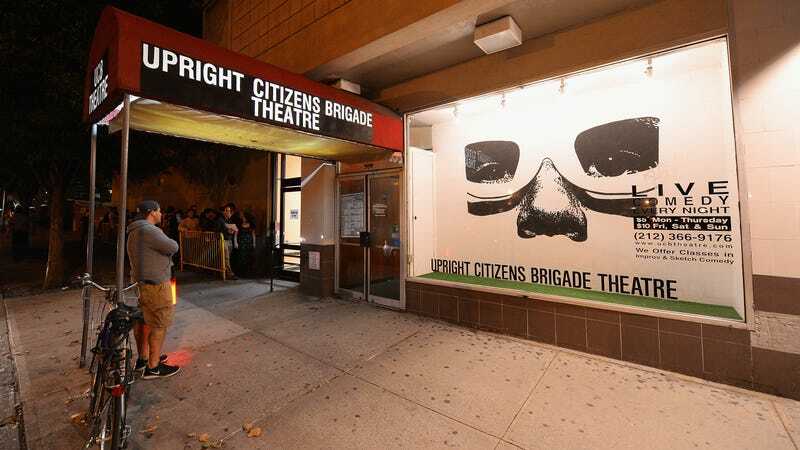 The suit claims that “UCB’s disciplinary process violated Title IX,” following a growing trend of ‘reverse Title IX suits’ in which men accused of sexual misconduct claim they are being discriminated against for being men. Glaser’s suit also cites a violation of the Clery Act, which cannot be enforced through a lawsuit, as well as New York State Human Rights Law. It claims that he lost his girlfriend, apartment and job opportunities after the banning became public—a leak he blamed on UCB—and that he subsequently became suicidal. The full complaint can be viewed below.